SG50 Heritage Trail Walk: Toa Payoh and Changi Village, 8 and 9 June 2015. With a group of about 8 students from the V Programme and two teachers, Ms Zoe and myself, we planned a 2 days SG50 Heritage Trail Walk covering Toa Payoh and Changi Village during the June Holidays. On 8th June, we set off at 9 in the morning, walking from Metta School to Tampines Ave 4 and then took bus 59 to Toa Payoh. 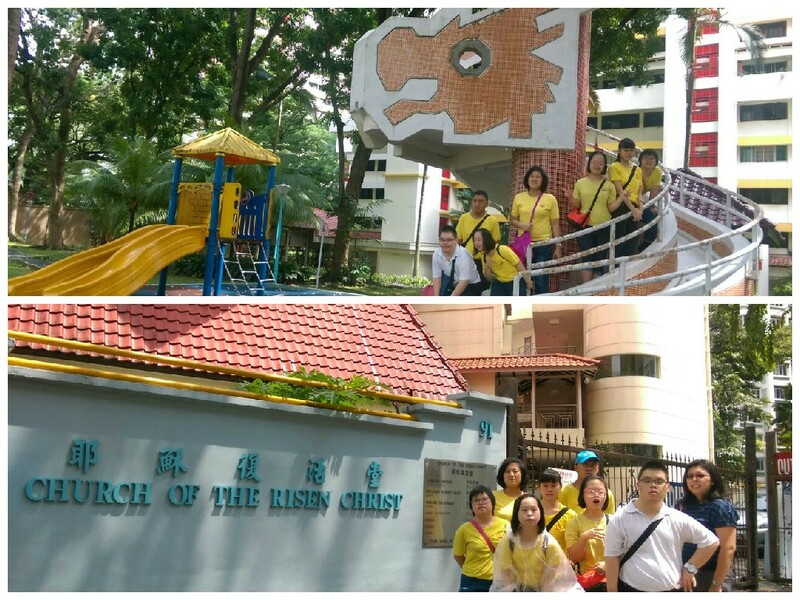 We alighted at Lorong 6 and walked to our first heritage site, the famous dragon shape slide. Our students were impressed to see this slide which is uniquely designed as they had never seen such slides at any playground. They were told of the “age” of the dragon, that is, 40 years and above. They giggled when they were told that their parents could be around 18 years or so when this dragon shaped slide was first made. Unfortunately, the weather changed and started to rain heavily. We had to seek shelter at the HDB Hub. Due to the heavy downpour, we had to forego our trail at the Toa Payoh Garden and also some other heritage sites which were not located nearby. 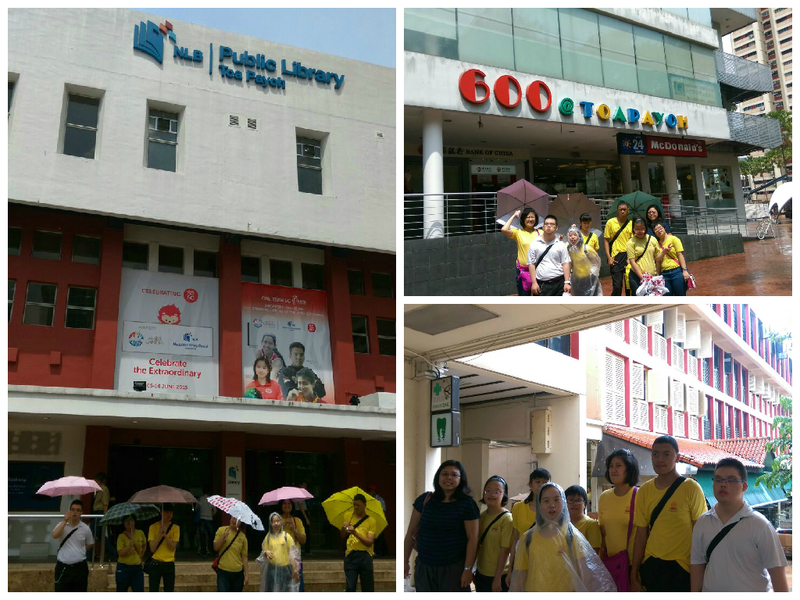 We continued our walk from the HDB Hub to the Toa Payoh library, which is one of the oldest library. Students were asked to compare the library’s building to the libraries found in the newer towns like Pasir Ris and Tampines. They responded that the building looked old as compared to the ones they have seen. Next to the library was the old Kong Chian Cinema(600@). It used to be a popular cinema. Many people had been here to watch the Ten Commandments in the 70s. Students took some pictures of the cinema and the slide. They were told to compare this building with the cinemas they had been to, and obviously they liked the current ones better! We completed our first day trail with a visit to the Church, one of the places of worship in Toa Payoh. 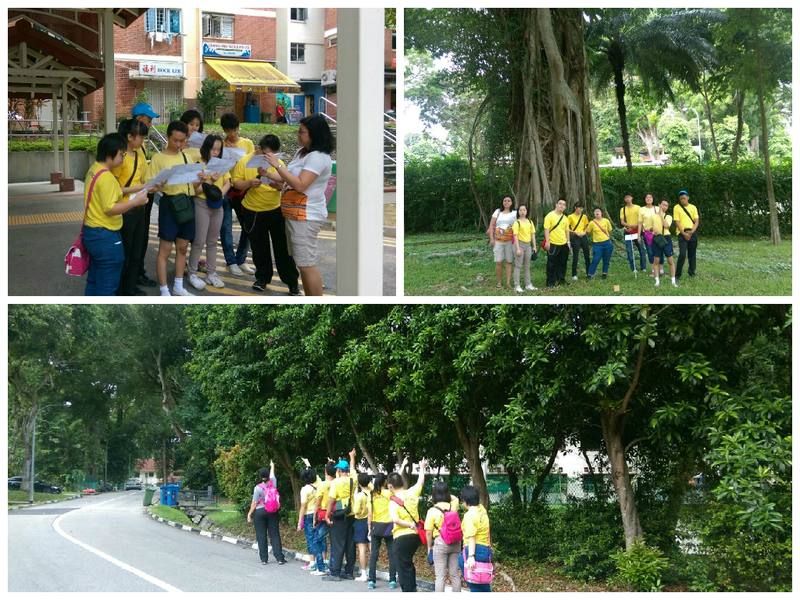 On 9th June, at 9.10 in the morning, we took a thirty minutes bus ride from Simei to Changi Village. 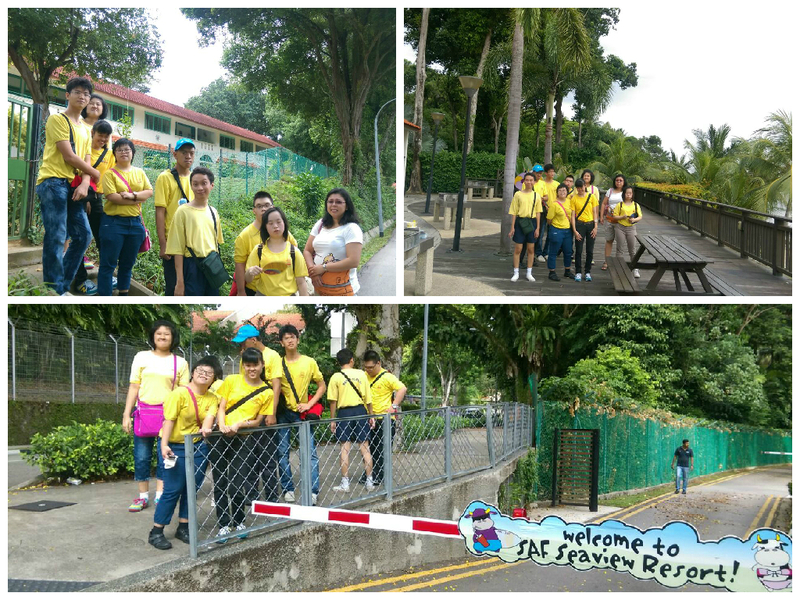 We started our second day trail from the bus-stop where we alighted to the Changi Holiday Bungalows site at Netheravon Rd. We saw some old and new holiday bungalows. Students were awed at the sight of the bungalows with some facing the sea. Students were told that even our former late Prime Minister Mr Lee Kuan Yew had stayed in one of those bungalows. Students were encouraged to share the photos they had taken these two days with their parents. Due to time constraint, we managed to visit two other heritage sites; the old Changi hospital and the site of a heritage tree at one of the bungalows. Students were surprised that the façade of the old hospital was different from the current hospitals. They were asked if they prefer this hospital to the now Changi Hospital in Simei. They were quick to respond their preference to the latter one. The tree that we saw,Stranlging Fig, was the one of the oldest tree to be found in Singapore. Students were told that this tree is unique and it could be as old as their great great grandparents and in that instant some students started to share their memorable moments about their late grandparents. It was a good sharing moment and we got to know each other better. Our students enjoyed the heritage trail as smiles could be seen on their faces from the start to the end of the two days. There were lots of opportunities for students and teachers to interact; the stories about the historical sites, the happy and sad moments they could recollect about their childhood and their family history. The two days have definitely been a well spent holiday for the students and teachers.